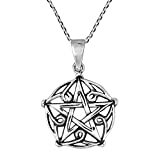 This Sterling Silver Celtic Triquetra Moon Goddess Trinity Knot Pendant Necklace is one of my favorite pendant necklaces here at RealSpellsOfMagic.com! I just love the design - it moves me and offers up great symbolism! 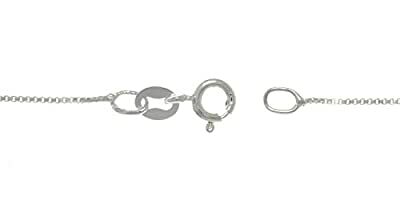 Comes complete with an 18" chain and Spring Ring clasp. You too will love the intricate weaving of all these elements, coming together to form a beautiful symbol! 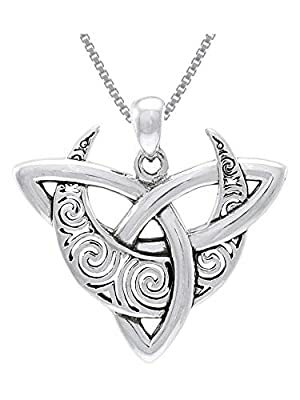 Our .925 Sterling Silver Celtic Triquetra Moon Goddess Trinity Knot Pendant Necklace showcases a crescent moon with Celtic spiral designs entwined with a Celtic Trinity knot. 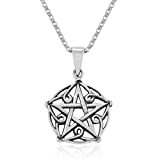 This fascinating pendant is strung on an 18 inch sterling silver box chain that secures with a spring ring clasp. Beautifully inspired by the artwork of artist Brigid Ashwood. 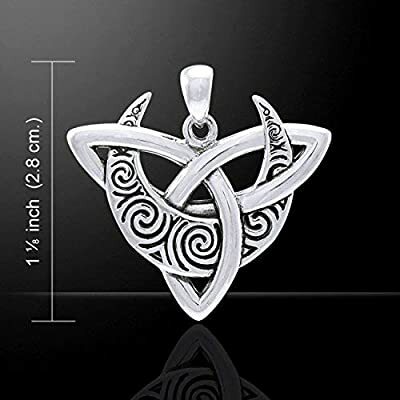 This beautiful yet incredibly affordable Sterling Silver piece makes a great holiday or birthday gift for your family and friends. These pictures simply do not do the piece justice and needs to be seen, and held, to really appreciate it. 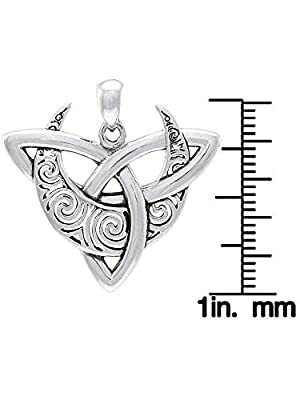 Without being too heavy this Sterling Silver Celtic Triquetra Moon Goddess Trinity Knot Pendant Necklace has a nice weight and feel to it.